Want to build your own cabin and do it on a budget? Take some tips from the video below, made by Paul Wheaton. 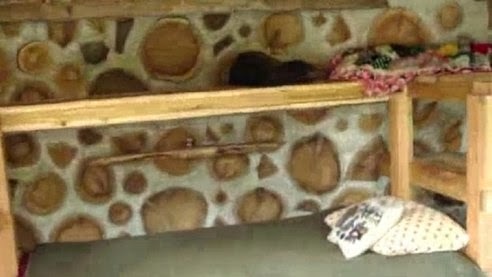 The video explores a tiny, 7 feet by 12 feet "portable house" which was built as a DIY project. 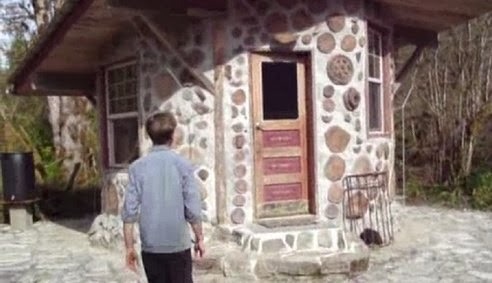 The cabin is made of cordwood and designed as an off-the-grid roundhouse - and the video contains some detailed tips and ideas on both the drawbacks and strengths of this particular approach to building a small structure this way. The builder "found" a lot of his internal materials from abandoned cabins - cough cough probably stole it - but it does show you how you could build a structure with very little effort. Note - I am not calling the builder a thief, but I do think he "found" way too many things in what he described as "abandoned cabins"... I am certain the owners of those cabins might not appreciate people pilfering their stuff. He also mentions several things he wished he had not done - like making it a round home, because it is so annoying to furnish it. So if you want to make a structure this way try and make it more square or rectangular, just so you can have an easier time furnishing it. 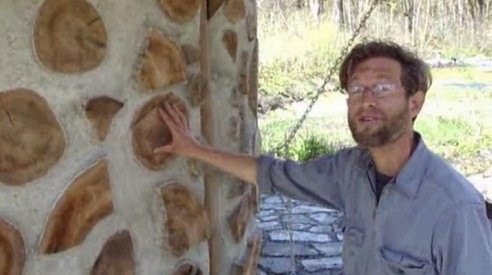 One of the common complaints about cordwood buildings however is that they are drafty. I therefore offer a solution - add wood studs and insulate the inside of the structure and then add wood panels over the studs and insulation. It will cost more and requires the building be made a bit bigger to have extra space inside, but it solves the problem of drafts and makes the place warmer in the winter and cooler in the summer.